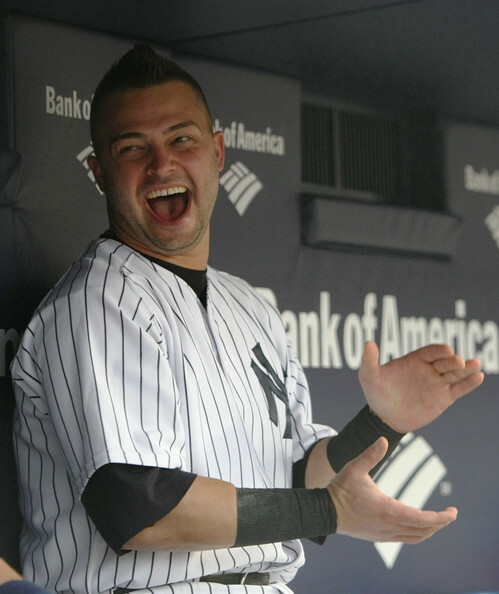 There is uncertainty right now about if Huroki Kuroda, Nick Swisher and Rafael Soriano will be back with the Yankees next season. This is because they have all declined their qualifying offers. However, it seems one can bank on Swisher not returning to the Bronx. They were all productive during the regular season, but Swisher has been basically invisible in the postseason with the Yankees. He hit a decent .250 in the three-game sweep to the Tigers and slugged .333 in the ALDS against the Twins in 2010. However, his six other playoff series while with the Bronx Bombers include pathetic offensive production never exceeding .211 (.111, .091, .133, .150, .083). The Yankees will be trying to advance to the World Series next season and they do not need players that can’t be relied upon in the postseason. Swisher is a fan favorite and a favorite of mine because of how he deals with fans and the media. He seems to always give all out effort on the bases and in the outfield, but Swisher does invariably make questionable decisions and his arm is not the best. He is not worth the $13.3 million qualifying offer, so even if he had accepted, he would have been overpaid. The Yankees are in cost cutting mode, trying to reduce payroll to get below $189 million by 2014, so not bringing him back makes sense. The front office was thinking about not bringing him back before the season anyway. Swisher is replaceable because the Yankees could move Ichiro to his natural position of rightfield and the rest of the outfield could include a healthy Brett Gardner and Curtis Granderson. The Yankees would be losing some power without Swisher but would be gaining more speed as well as a more reliable outfielder in Gardner. Swisher did average 26 homers and 87 RBI with the Yankees in the regular season, but I don’t see this production lasting too much longer. Various teams will reportedly offer Swisher a three or four-year contract, and the Yankees are smartly only willing to offer a one-year deal. However, it is more important that Kuroda and Soriano reconsider because the team will need the pitching that they will be able to provide. They are both coming off productive seasons while proving that they can excel in the pressure cooker that is New York City. It does seem like Mariano Rivera will be back next season (a few weeks ago he said he was not sure), but Rivera will be 43 on November 29, so no one knows what he will have left after having ACL surgery. This makes having a reliable closer like Soriano a necessity. Soriano is somebody who is worth offering a few more million dollars to. As reported by MLB, Rivera threw 25 pitches on Friday without any problems during a commercial shoot at the Hackley School in Westchester. This proves that he should be all in, which is great news for Yankee fans, but again, there is no way of knowing if he will be able to pitch up to his Hall of Fame standards for the whole season. The Oakland Athletics edged the Yankees, 6-5, on Tuesday night, as the Yankees staged a late rally which fell just a few feet short. 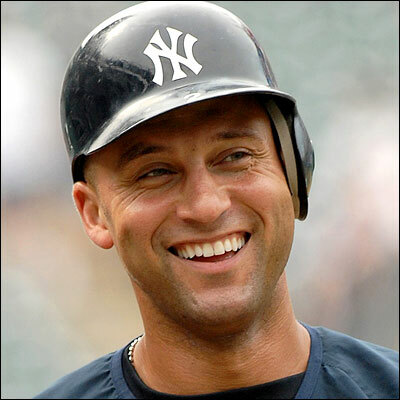 With his single to center in the third Jeter achieved yet another multi hit game. However, with runners on first and second Curtis Granderson and Mark Teixiera could not convert. To end the bottom of the third inning Teixiera made a play that required cat like reflexes to reach for a line drive and double off Josh Willingham at first. In the top of the seventh, with the Yankees down 3-0, and a runner on first, Russell Martin made an outstanding stop to prevent Cliff Pennington from getting to second. Unfortunately, Kurt Suzuki would go on to hit a double down the left field line to move Pennington to second, knocking Colon out of the game. The Athletics’ offense continued to hurt the Yankees pitching as pinch-hitter Scott Sizemore smashed a double off of reliever Boone Logan that drove in Suzuki and Pennington. In recent outings Logan had been pitching very impressively so hopefully this does not last. Derek Jeter was just about the only bright spot through eight innings for the Yankees as he led off the inning with a single. If he is able to have a three-for-three game tomorrow his average will be all the way up to .300. This is very impressive after his underwhelming start to the season. However, later in the inning Nick Swisher came up in the nick of time as he hit a three run homer into the Yankees bullpen to force the A’s to go to their bullpen. Then off of Andrew Bailey, the A’s closer, Jorge Posada hit a deep blast into the bleachers. He has hit pretty well since being demoted, and in his last five games where he has at least one at bat he has seven hits and seven RBI. Russell Martin hit a double to the gap and then Brett Gardner got on first because of third baseman Scott Sizermore’s fielding error. It would have been a close play because of Gardner’s blazing speed but since it was in Sizemore’s glove and bounced out the error call made sense. Bailey walked Granderson on a full-count to load the bases for Teixiera. Teixeira popped out and Granderson walked, but Swisher came so very close to hitting a grand slam but it ended up being a very long fly ball that landed in Coco Crisp’s glove, on the warning track, in centerfield. The Yankees left runners in scoring position with two outs five times, with Swisher twice being the culprit, so if they would have converted on one or two of these opportunities the outcome might have been different. Part of the reason Bailey allowed two hits, a walk and homer might have been because he had extra nerves since he was pitching near his hometown in Voorhees, New Jersey and also where he went to college at Wagner in Staten Island. Logan came into this game having not allowed a run in his last three appearances, the Yankees likely would have won. This is because he gave up the double to Logan, which scored two runs, and gave Colon give five earned runs on the evening. Colon really did not pitch that poorly because through six innings he had only allowed three runs and that is a quality start. Two of those runs were solo home-runs but he has not won a game during the month of August. Brandon Allen hit two solo home runs during the game and he has really taken advantage of his trade to the Athletics, on July 31st. His first home run, in the second inning off of Colon, was a mammoth shot into the upper deck. 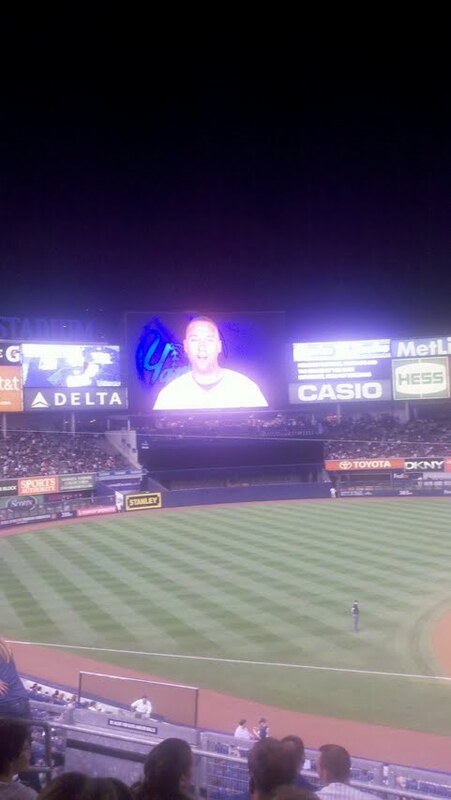 He is only the second player to launch one into the upper deck at the new Yankee Stadium. The Athletics are not known for their offense, as they are 12th in the AL in runs scored. They only scored 3.3 runs per game in the first half but have scored considerably more since then. CC Sebathia, who is very reliable and a CY Young candidate, will try to revert Oakland back to their pre All-Star break form. Trevor Cahill is slated to pitch for the A’s, who was an All-Star and in the top five in lowest ERA last season, but has struggled this season with a 4.17 ERA. Since the Yankees lost last night and the Red Sox won they are now in a virtual tie for first place. Boston is playing the Rangers tonight, and the Rangers are winning the season series 4-1. Hopefully the Yankees will be able to take advantage of facing inferior completion for six more games before battling Boston. The Yankees come off a very disappointing series against the Royals where they lost two of three. The Red Sox got swept during their two game set against the Blue Jays in Toronto. Starting Friday night, at 7:05, they will play three games in the Bronx and the Yankees hope they can keep Boston in last place. Boston is 6-11 on the road so far, but after getting of to a 2-10 start they have rebounded to win 15 of their next 25 games. So far this season, the Yankees have had three games against the Red Sox, losing two out of three in the beginning of April. John Lackey recorded one of the wins for the Red Sox in that series but unfortunately the Yankees offense will not have the privilege of facing him this weekend. Lackey, who the Yankees scored six runs off of in that loss, has only recorded three quality starts out of seven and has a dreadful 8.01 ERA. In this series the Yankees will face the Red Sox three best pitchers. In tonight’s game the resurgent Bartolo Colon, who is coming of his worst start of the season against the Rangers, will face Clay Bucholz. Bucholz has dominating stuff but is off to a somewhat weak start based off his 4.19 ERA. He is coming off two solid starts but has struggled throughout his career against the Yankees allowing 22 runs in 31 and two-thirds innings. During the Saturday game, on FOX, the aces will square off as CC Sebathia (3-2, 2.89) and Josh Beckett (2-1, 1.99) will take the hill. ESPN will have the game on Sunday, as Freddy Garcia (2-2, 2.61, 1.31 WHIP) will match-up against Jon Lester (4-1, 2.96, 1.22 WHIP). The battle tested Garcia is coming off a start where he only allowed one run and continued to show signs of the pitcher he used to be whereas Lester struggled in his last start against the Blue Jays. A major issue that needs to be corrected is that they have 12 errors in their last seven games, and on the season they are 11th out of 14 teams in team defense. The major culprit has been Eduardo Nunez who has five errors in only 10 games played. Defensively they well have to play fundamental baseball while throwing to the right base if they want to win this series. The Yankees have six players with at least two errors so far. In addition, the Yankees could really use their bats to wake up with the increased temperature. Jorge Posada, Nick Swisher, Alex Rodriguez and Mark Teixeira have all recently been struggling at the plate. Posada, whose best years are behind him, has at least contributed six home runs so far, but has a dreadful average of .162 and in his last seven games only has three hits. Rodriguez and Teixeira have been more productive but they need to go back to forming the lethal three-four combination that they were last season. Swisher (.218 so far) proved that he can succeed as a Yankee because he is coming off an All-Star season in 2010, so hopefully his hard work with Kevin Long will pay-off. If he can come up with a clutch hit late in the game, or even a game winner in the bottom of the ninth and get another pie thrown at him from A.J. Burnett, that will really help his psyche going forward. Along with the continued success if the Yankees pitching staff, the offense needs to come through with greater regularity with runners in scoring position in order to win the series. The number of ground balls and double plays by the Yankees offense to this point has been unacceptable and hopefully this changes this weekend. If the Yankees can win two out of three, with the first two being the most likely, this series can be considered a success. Winning two out of three would equal a split of the six game home-stand, which would be somewhat of a disappointment. Winning four out of five would have been expected but the Yankees underperformed against the Royals. Hopefully they can correct their shortcomings against the rival Red Sox. As the Yankees enter a seven-game road trip, against the Tigers and then the White Sox, they have proven that the two game skid from early last week has not affected them. They have now won four of their last five games, against the Blue Jays and White Sox, and have proven to be a resilient team because they are winning without Phil Hughes or much contribution from Derek Jeter, Jorge Posada, Brett Gardner or Nick Swisher. A positive sign is that the back end of the bullpen has bounced back after a few shaky performances by Mariano Rivera and Rafael Soriano. Rivera was not like his normal dominant self, giving up blown saves on April 19th against the Blue Jays, as well as April 24th against the Orioles. Luckily, the Yankees were able to come back in extra innings to win against Baltimore but the performance was still slightly alarming. Soriano has had somewhat of a surprising start to his Yankee career considering his utter dominance from last season. This continued when he allowed one run and two runs, respectively, in Yankee losses to the White Sox on the 25th and 26th. However, these struggles by Rivera and Soriano were never that much of a concern because Soriano and especially Rivera’s track record has been outstanding. Rivera is most likely the best closer of all time and Soriano was an All-Star and led the league in saves last season. Soriano has recently returned to respectability recording consecutive holds during the eighth inning, on Saturday and Sunday, only giving up a hit and a walk combined. In three appearances since the 24th Rivera has gone onto only allow one base hit while converting three saves. Those two players have broken out of their mini slumps but four players on offense could use some intervention from hitting Coach Kevin Long. Curtis Granderson met with him last August in Texas to revamp his swing and since then he has hit 22 home runs, which is the 3rd highest total in baseball behind Jose Bautista and Troy Tulowitzki. Gardner seems to be showing signs of a turn-around having five hits in his last eight at bats, with a home run and a stolen base. His .200 average is still not where it should be but all the Yankees can ask for is for him to continue hitting the way he has the last four games. Gardner plays excellent defense and is able to catch many fly balls that other outfielders are not able to. Swisher had a breakout year last season and is only batting .218 so far. He showed signs of last season’s form with on April 28th against his former team, the White Sox, hitting three hits and his first home run of the campaign. The last two struggling Yankees are Jeter and Posada. It is hard to tell whether it is their advanced age catching up to them, a prolonged slump or a combination of the two. Jeter is 36 while Posada is 39, and that is what might be causing them to produce stats much less than their career average. Jeter is hitting .242 with only six RBI and is hitting ground balls at an alarming rate. Posada is only batting .133 but his six home runs is slightly encouraging. However, a slugging percentage of .387 and 12 RBI so far is not typical production form a Designated Hitter. Hopefully Long can tweak something with their swing to help them getting on base and produce runs like they are accustomed to. This probably will not happen but it would make sense to bat Jeter seventh or eighth in the lineup. He is only 51 hits away from joining the 3,000 hit club, which will be a major accomplishment, so he will probably continue batting leadoff until then. This will give him as many opportunities as possible but afterwards I would bat him seventh or eighth. Once he moves down in the order it would make sense to leadoff Gardner since he has so much speed. This would be best for the team. A change that was made which was a very smart decision by Joe Girardi was hitting Granderson second in the lineup. This should continue for the foreseeable future because he is currently not showing any flaws in his swing, while hitting for power and average. The pitching matchups for the series against the Tigers at Comerica Park sees Bartolo Colon face Justin Verlander, CC Sebathia matches up against Brad Penny, Freddy Garcia takes on Max Scherzer and A.J. Burnett battles Rick Porcello. I could see the Yankees winning three out of four with the loss coming on Wednesday against Scherzer. Even though Garcia has the much lower ERA he showed signs of ineffectiveness and loss of control in his last start. Tonight the Yankees are facing Verlander, who is one of the best pitchers in the American League, but Colon has pitched like an ace so far, so it seems like the game could be a pitcher’s duel. The Yankees will have the edge if the game gets to a battle of the back end of the bullpen.